Looking for a cake to “wow” family, friends, guests? This delicious, one-bowl, super easy Buttermilk Butter Crunch Cake will do the trick! A super tender, super moist, deliciously buttery, golden cake that can be literally thrown together in 10-minutes (hands-on time). 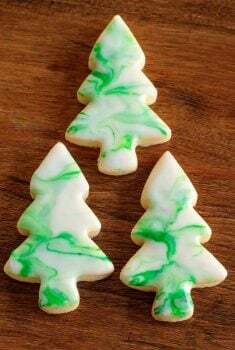 The icing is also really easy and quick. It’s a one-bowl, no-mixer, silky, vanilla buttercream that’s scattered with a crisp, candied coconut-almond topping. Start to finish, this cake comes together in less than one hour. Do you know what makes me (and Scott) really happy? That I (we) don’t have to just read the definition of this Easy Buttermilk Butter Crunch Cake. Nope, if I have just one hour to spare, I can have this cake sitting on my table, just waiting to be sliced and enjoyed. You can too! Yay! If you’ve enjoyed our Easy Farmhouse Buttermilk Cake, you’re going to love this one too, as I’ve adapted it from that super popular recipe. It’s similar, while at the same time quite different, especially in the topping category. Like described in the Webster (wannabe) definition above, the second layer is an amazingly crisp, crunchy, candied almond-coconut topping. How do you “candy” almonds and coconut? Easy! Just combine the two and stir together with a bit of melted butter and honey. The mixture goes into the oven for 10 minutes and comes out golden, crisp and pretty as a picture! 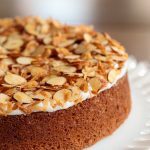 What does buttermilk do in cakes? See the wonderful tender crumb in this Buttermilk Butter Crunch cake? Thank you buttermilk! Is there anything I can substitute for buttermilk in a recipe? No buttermilk? No problem! There are other ingredients that act similarly to buttermilk. If you have any regular yogurt, Greek yogurt or sour cream, these will all work as substitutes as they all have that acidic property that works to make baked goods moist and tender. You just want to thin them down with a little milk so they’re similar to the consistency of buttermilk. And if you don’t have any of the above, you’re still okay. You can make your own (faux) buttermilk substitute! It’s easy to make your own buttermilk substitute. Simply add 1 tablespoon of vinegar or lemon juice to a measuring cup. Fill it the rest of the way to one cup mark with whole milk and let it stand for 10 minutes. Voila! You’ve got a “sour milk” with similar properties. Use it as directed in recipes calling for buttermilk. It will provide the acid for leavening and help with creating a tender crumb. The resulting flavor may have a more subtle tang than buttermilk, but it definitely works! 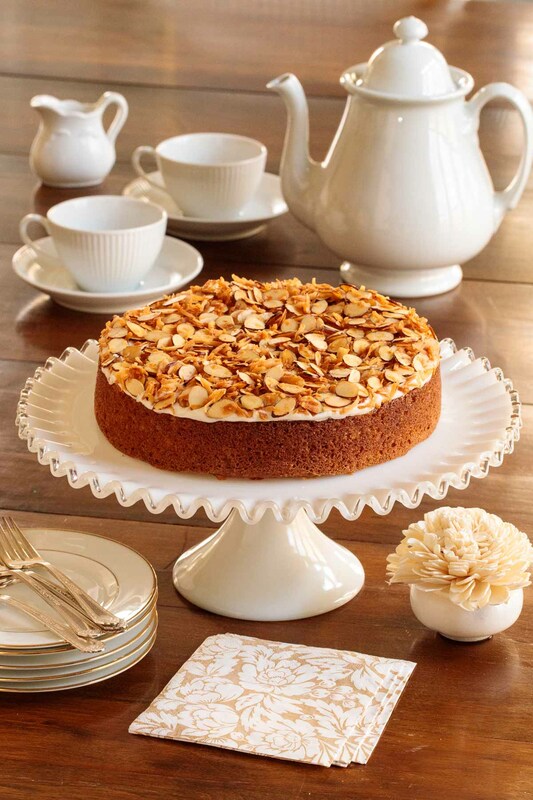 How good is this Buttermilk Butter Crunch Cake? Well, I considered calling it “I Want to Marry You Cake” as it gets the same incredible rave responses as these cookies. In other words, it’s so amazingly delicious. it might just elicit marriage proposals! Because this is a one-bowl, no-mixer recipe, the butter should be VERY soft. Leave it sit at room temperature for several hours or use a microwave at 10% power (for 1 to 4 minutes, depending on the power of your microwave) to soften your butter. This Buttermilk Butter Crunch Cake can be made up to 8 hours in advance and stored at room temperature (covered). Don’t skip lining the pan with parchment if you want to be able to easily remove the cake from the pan. 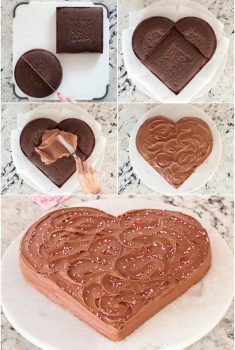 If you want to serve the cake right from the pan, you can just grease the pan and skip the parchment paper. 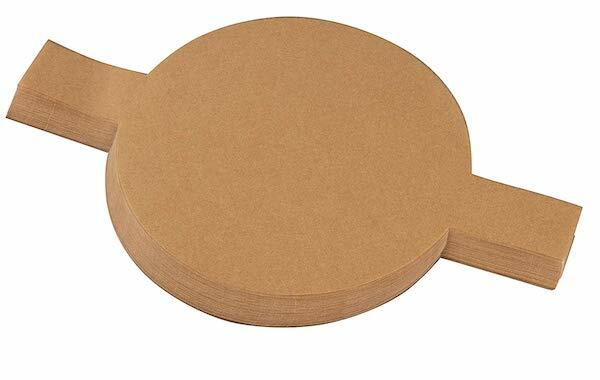 I love these pre-cut parchment paper circles. They’re really nice because they have little tabs to use to pull the cake out of the pan. You can also cut your own. No buttermilk? No problem! As stated above in the post, just add one tablespoon of white vinegar or lemon juice to a measuring cup. Fill with milk to measure one cup. Allow to sit for 5-10 minutes, then proceed with recipe. For those of you living outside of the United States, half and half is an American convenience product used in coffee. It’s a mixture of half milk and half cream, hence the name. You could also use whole milk in lieu of half and half with good results. Preheat the oven to 325°F. Spray a 9" round cake pan with baking spray and line with parchment paper. Set aside. Line a sheet pan with foil and spray it with cooking spray. Set aside. Pour the batter into the prepared pan. Bake the cake for 30-35 minutes until light golden brown (a toothpick inserted in the center should come out clean and/or the cake will spring back when lightly touched in the center). Do not turn the oven off yet. Allow to cool in the pan for 10 minutes, then turn out onto a cooling rack to cool for at least 20 minutes before adding the icing. While the cake is cooling, make the topping and the icing. 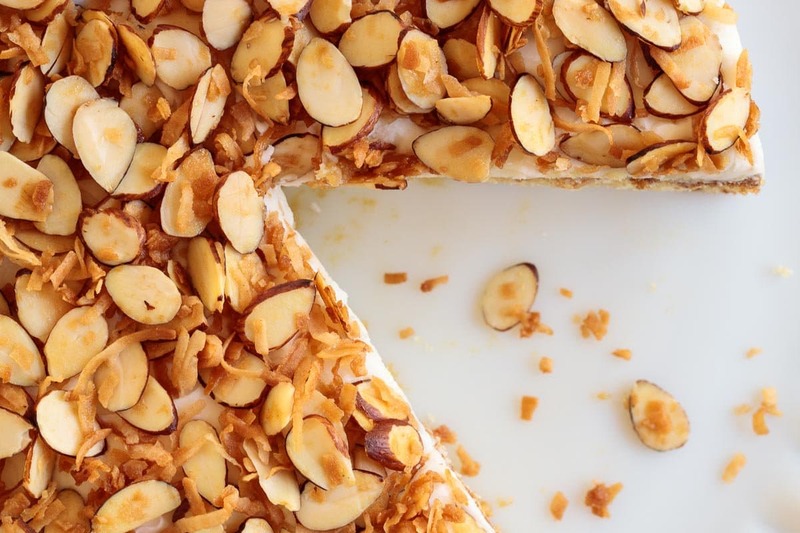 Combine coconut and almonds on the prepared sheet pan. Combine melted butter and honey in a small bowl. Drizzle over coconut-almond mixture and stir well to coat nuts and coconut. Spread mixture out to a thin layer. Place pan in the oven and bake for 5 minutes. Stir to redistribute and spread out mixture over pan again. Return to the oven and bake for another 5 minutes. Repeat stirring and redistributing again and bake for 4-5 more minutes until mixture is golden brown. Set aside to cool. 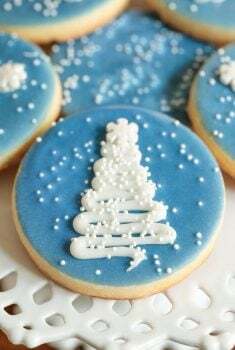 For the icing, place butter in a microwave-safe bowl and cook in the microwave on high power for 1 minute. If butter is not melted return to microwave for another 15 seconds. Add 3 tablespoons half and half, vanilla and almond extracts to butter and stir to combine. Add powdered sugar and stir well till smooth and creamy. Add a bit more half and half to thin if needed. Icing should be a very thick, but spreadable consistency. 10. Spread the buttercream over the top of the cake. 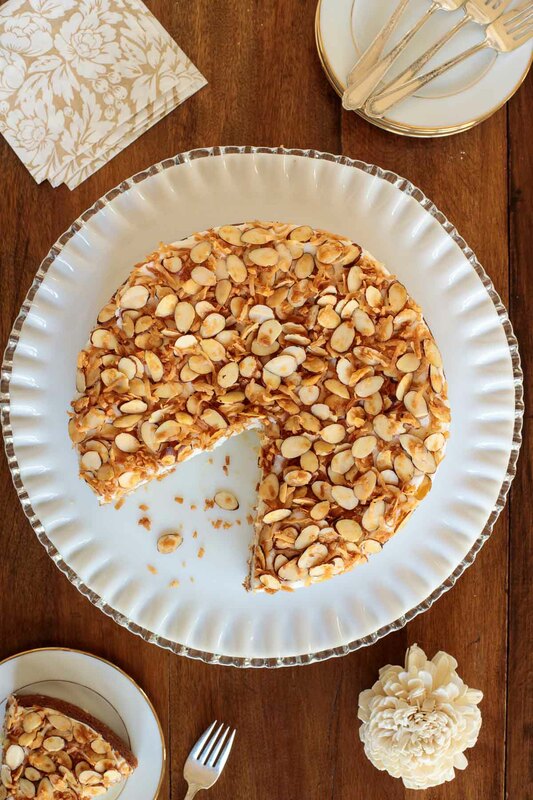 Scatter the almond mixture evenly over the top before the icing sets. Enjoy!! Wonderful recipe. I’ve made two this week already and impressed the guests. It may be my new “go to” cake. Thanks, Lynda, so happy you enjoyed it! I made this recipe and have to say the cake can stand on its own very nicely – without the topping. I’m making it again today and that’s what I’m going to do! The topping is fine, but the cake itself is divine! Thanks, Valery! So happy you enjoyed it! I made this cake for our Bible Study group boy was it a hit. I used 2 tsp vanilla in the cake batter and omitted the almond extract. For the topping I used 2 Tablespoons of butter and maple syrup and 1 cup chopped pecans. For the icing I used 2 tsp vanilla. I sprinkled Heath Bar bits on top. It was so quick and easy to make and everyone was impressed. Will make it again maybe I will follow the recipe. I love making your recipes. I made this cake yesterday….it is wonderful, awesome, incredulous, incredible, beautiful, scrumptious, delish……I could go on and on. Yes easy too. Another outstanding recipe Chris. Keep them coming. 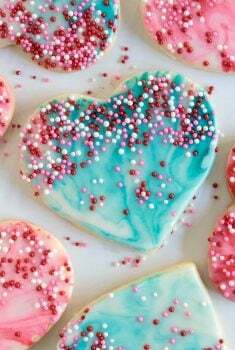 I am not a fan of icing as I find it too sweet. 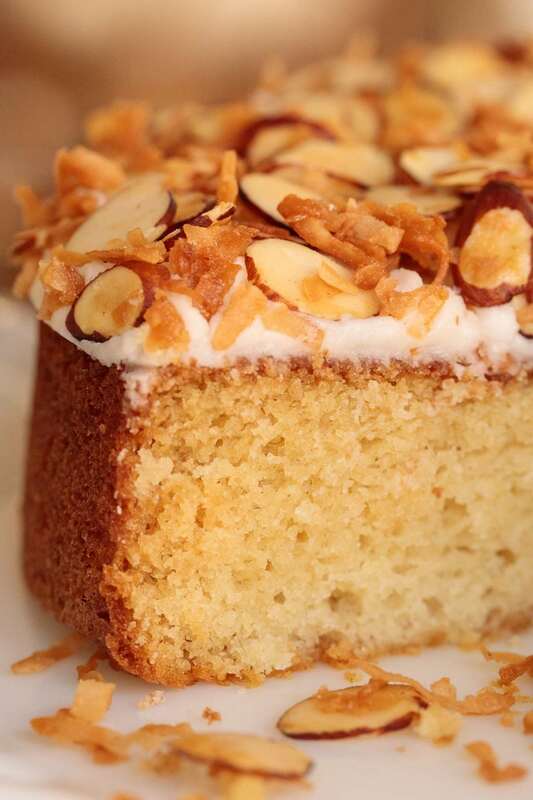 Do you think that the coconut and almonds could be sprinkled on top of the cake batter and then baked? Hi Perlita, I think you could use the coconut almond topping but I wouldn’t put it right on top of the batter. First of all, it would get too dark since it’s already been toasted (baked) to get it nice and crisp. And second, I think it would sink into the batter as the cake bakes. Instead, I would bake the cake as directed and add the topping during the last 5 minutes. Wonderful recipe. I just want to double check the baking temperature. In this recipe it states 325F and in the Easy Farmhouse Buttermilk Cake recipe the baking temperature is 350F. Which is correct for this recipe. Thanks in advance! Hi Reena, I did bake this one at 325. It seemed to get a little too brown at 350. I did make some adaptations to the Farmhouse Cake and that may be what makes the difference. But 325 worked well! 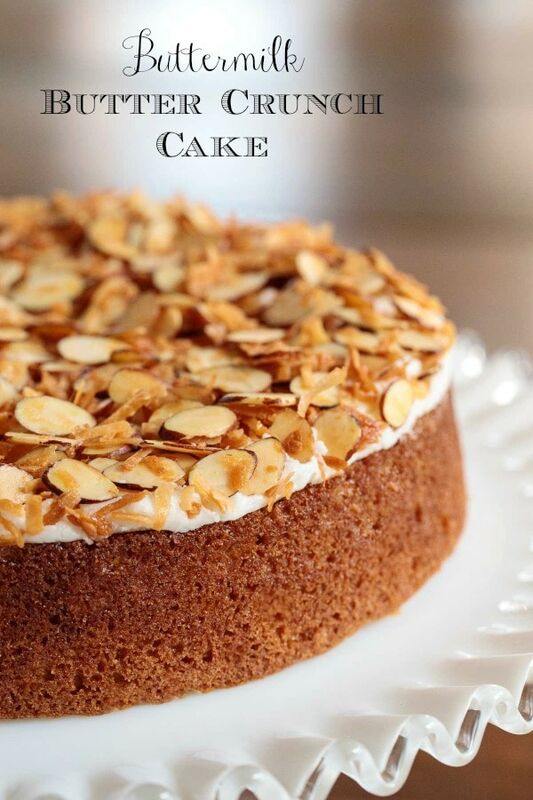 For the sake of photography, didn’t you use more than one-half cup of almonds on top of your cake? The abundance looks great but I want to get it right the first time and want my cake to look like yours. Please tell. it looks wonderful. Haha! I love it! 🙂 I did use 1/2 cup of each and it’s enough for the top of the cake. That being said, you could use a generous cup if you like a lot of crunch! I need to get this one our Easter dessert table this year Chris!! It sounds absolutely delicious! I just happen to have buttermilk in my fridge….perfect timing. Such a moist, tempting cake! Yet another recipe I can hardly wait to make! I have used vinegar in a pinch, maybe it’s just me, but I always get that vinegary taste. I am wondering what your opinion of dry buttermilk is? It’s certainly convenient to keep a can or box of packets in the pantry. I’ve had pretty good results using it however, nothing but fresh buttermilk will do in my German chocolate cake. Do you think this cake will be just as good using dry buttermilk with milk for the liquid? 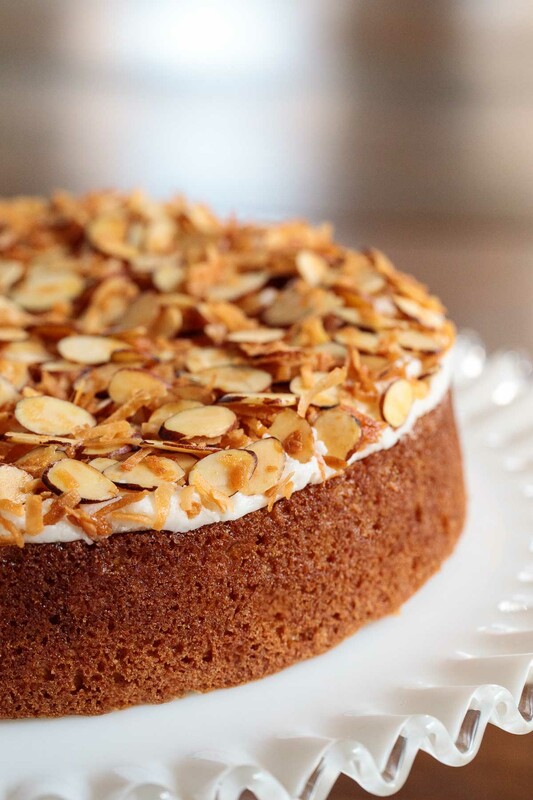 I adore your other buttermilk cake and would love a variation on the topping but we don’t care for coconut and almonds. Do you have any suggestions for alternatives? I would love to make this cake, but my husband cannot eat coconut. He has an allergy to it! Would there be something else that could be substituted? I know I would love the flavors. Hi Karen! The almonds alone would be wonderful! Just double the amount. Chopped pecans would also be wonderful, just double the amount to 1 cup and make them according to the coconut/almonds instructions. I think the topping would be great with toffee chips added, too! Looks fabulous! What type of coconut did you use, was it sweetened? I can’t wait to make this! Love your site and the great recipes! Hi Kelli, thanks for pointing that out. I use sweetened coconut. I will add that to the recipe although I think it would also be fine with the unsweetened.